I absolutely love jewellery. I think it can make an outfit so easily. If you’ve followed my blog for a while you’ll know I’m a big fan of collars and necklaces. Easily my favourite trend from the last few seasons. Anyhow, I decided to have a go at making own. This is so so quick and easy! 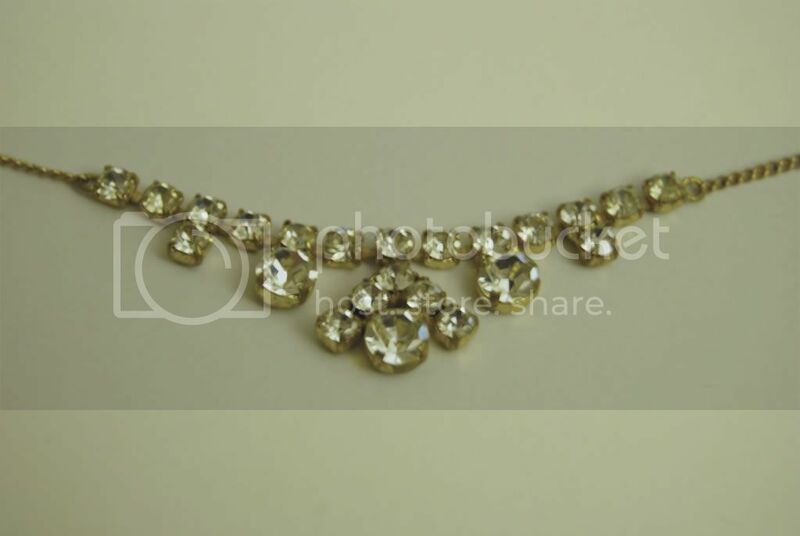 Lay your necklace (undone) flat on a table or desk. I popped a piece of paper under it in case of any drips. Tape the ends of your necklace to the table to hold it tight so it doesn’t move about too much! 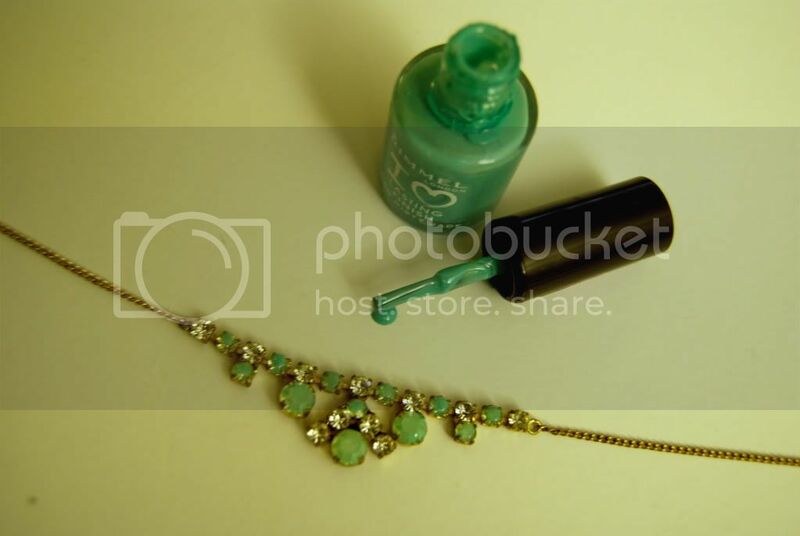 Then start carefully painting your rhinestones with varnish. You can choose a pattern, or paint all of them. I like the extra sparkle with some rhinestones showing! I did about 3 thin coats on each one, rather than blobbing lots on, because I didn’t want to cover the hardware. Let it dry. If you think it needs any touch ups to even it out, then do that and let dry again. If you get any varnish on bits you don’t want, just clean it gently with a cotton bud dipped in nail varnish remover. Pop a top coat on too, just to give it some extra shine and protection and you are good to go! *Please excuse the white balance- it has been disgusting weather and the light in my flat is atrocious! I think this could be such a fun and cheap way to get some trend colours into your wardrobe. 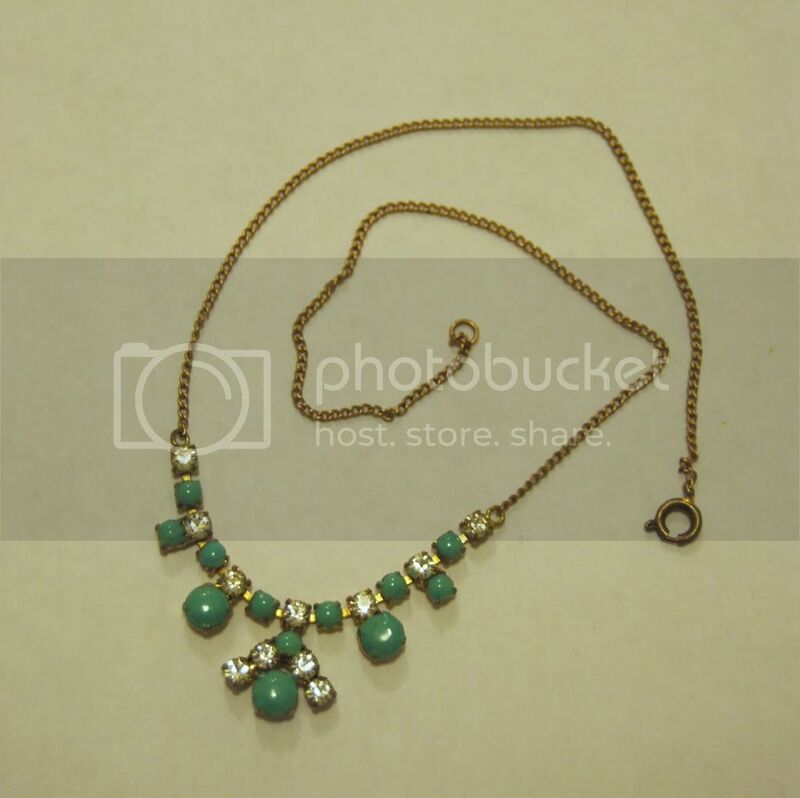 I love this mint green and I cannot wait to wear this with a simple white tee and boyfriend denim. Add some glitter! Either use glitter varnish or get craft glitter and sprinkle over clear varnish. Remember to seal with a top coat! Store your necklace either hanging up or flat to protect it and keep it chip free and pretty! What do you think? Will you be adding some DIY statement jewellery to your collection?